Rattray Bowling Club extends a warm welcome to all visitors and friends both during the bowling season and in the winter months. Our modern clubhouse and bar has excellent facilities for our bowling and social members, visiting bowlers, spectators and friends. It is open all year with organised entertainment and indoor games (carpet bowls, pool, darts etc.) during the closed season. The clubhouse offers a spacious bar area with an adjoining lounge which has a dance floor and extensive seating availability. Social evenings, Bingo teas and Quiz events are a few of the functions which are held here. 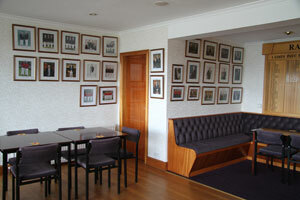 The clubhouse is also suitable for Birthday parties, Weddings, Christenings and most other functions. Off the lounge there is a large kitchen which is in constant use for Bowling and Social events. Visiting clubs regularly enjoy meals during the game. 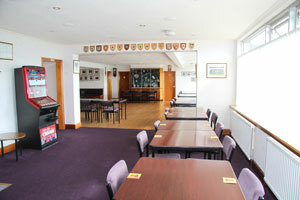 The clubhouse is available for private functions. Hire fee is £25 to £35 (depending on function) which includes the use of the kitchen. For more details please contact the Secretary or enquire at the bar. Alternatively please download and complete our Application to Hire form. 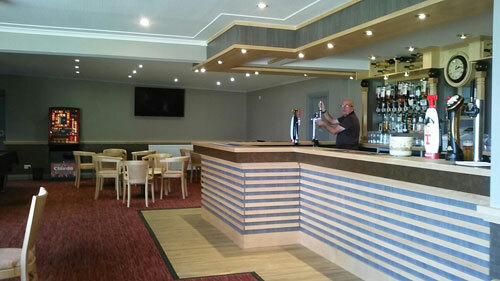 There is another lounge adjacent to the main bar area which has a pool table and large flat screened television. This lounge is used for pool and darts competitions as well as for social relaxation. We are proud of our extensive locker room which was built mainly by members a few years ago. There are unrestricted views across the entire Green for spectators to view games. Carpet bowls are held in the locker room during the Winter season. Outdoors there is provision of large tables, umbrellas and seats around the green to enjoy the bowls. The club has a private car park available for visitors. 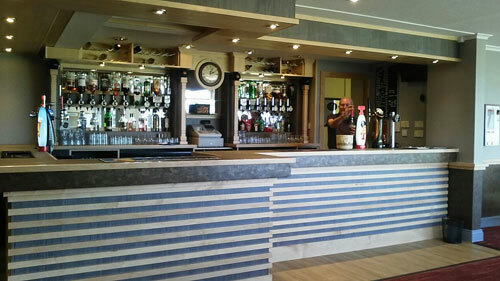 Recently we have undertaken a total refurbishment of our bar area and toilet facilities. Below are photos of our proud refurbishment!